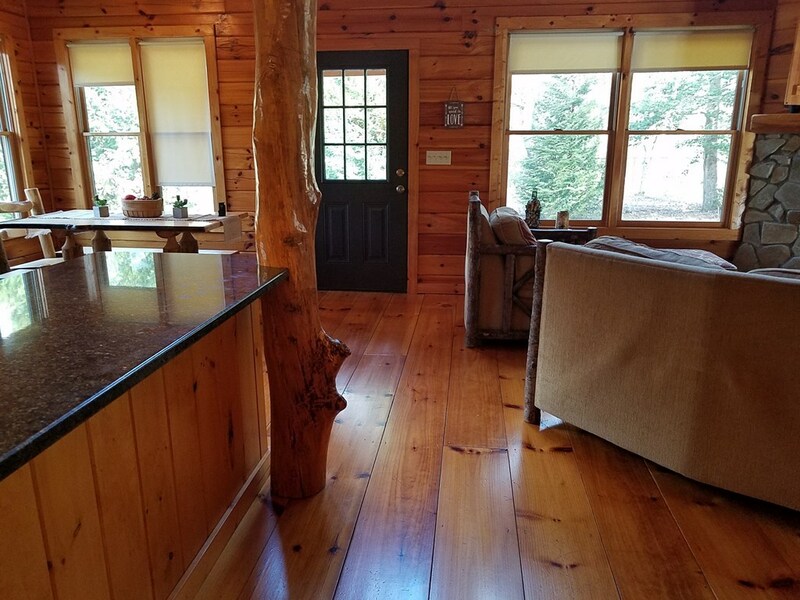 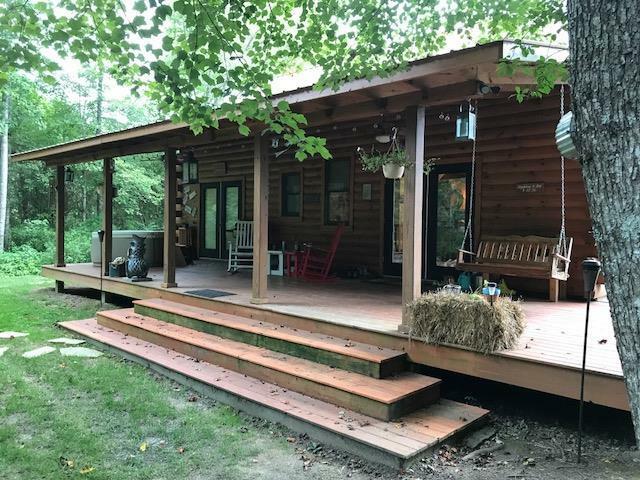 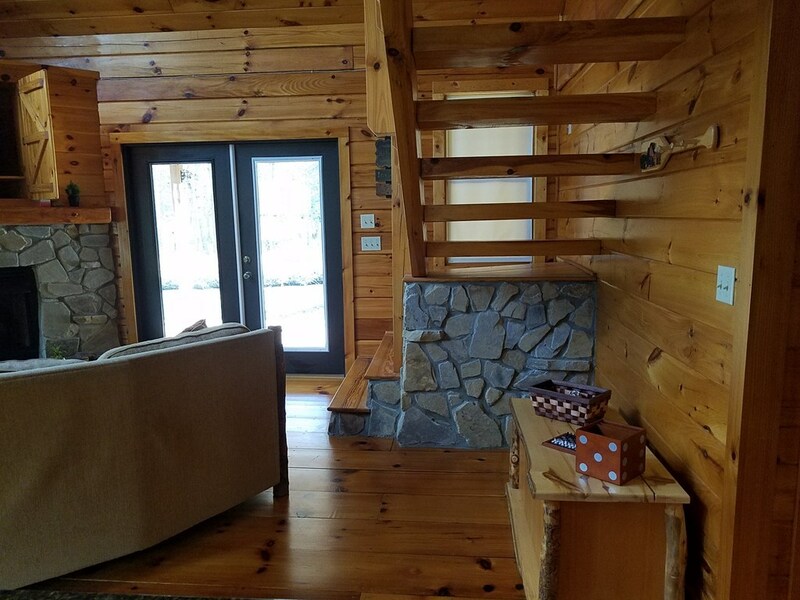 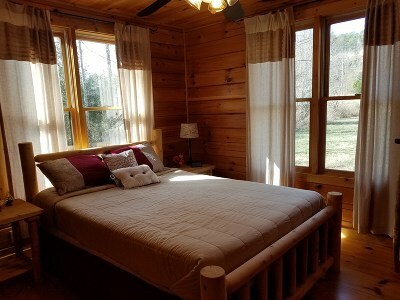 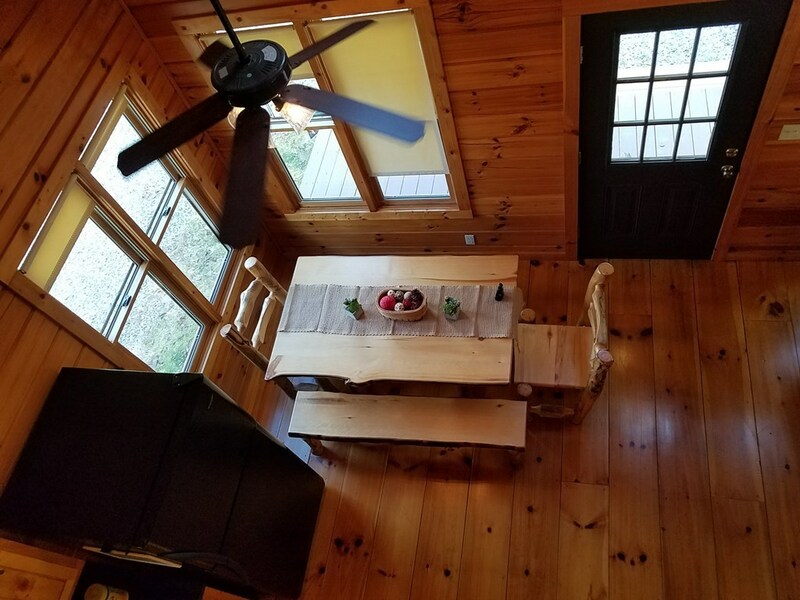 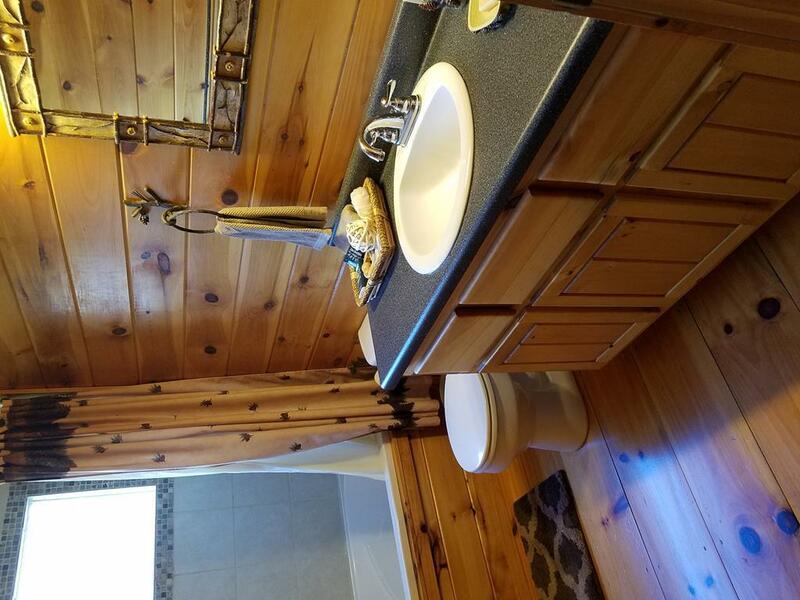 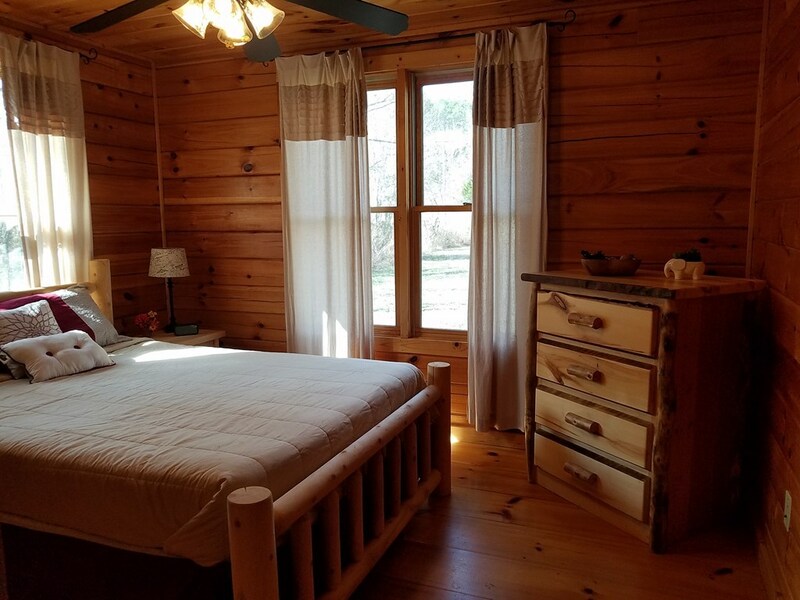 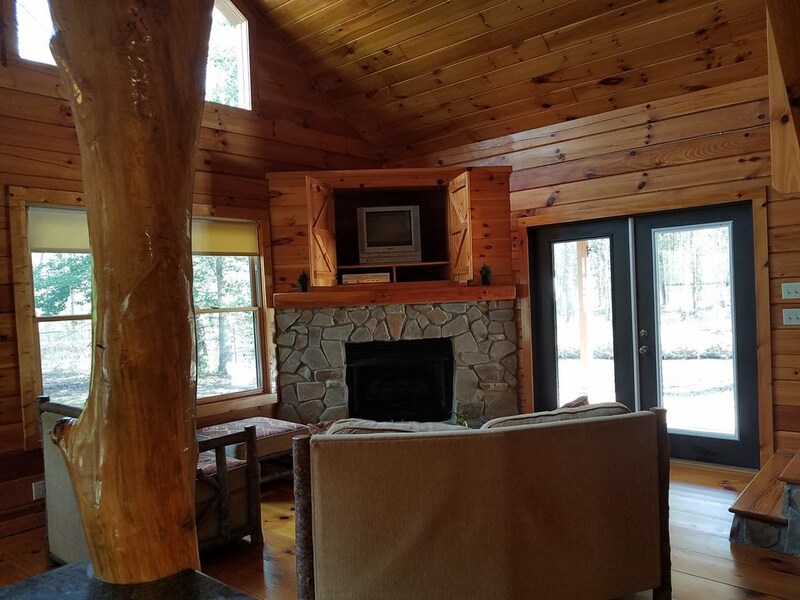 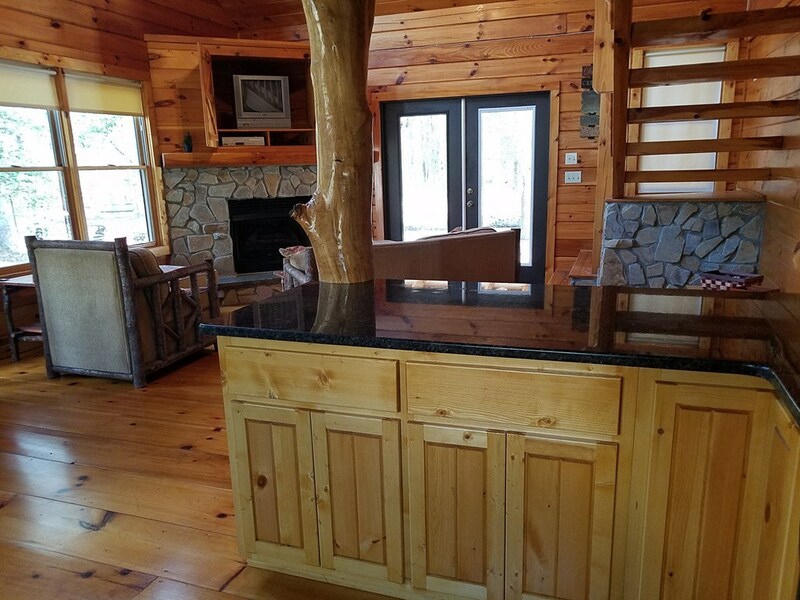 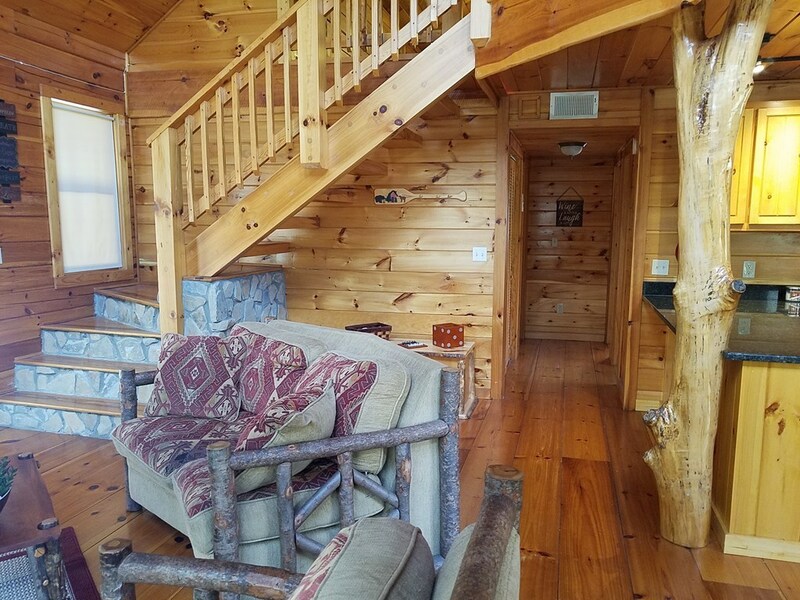 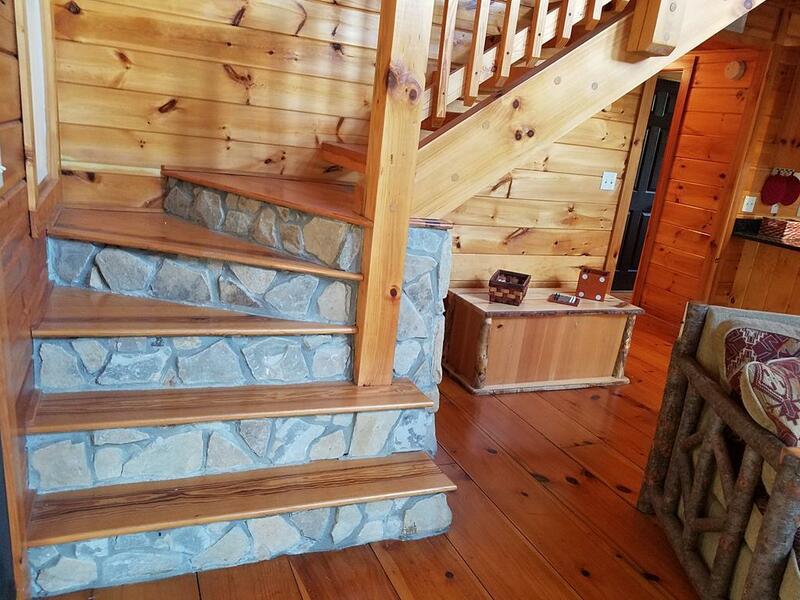 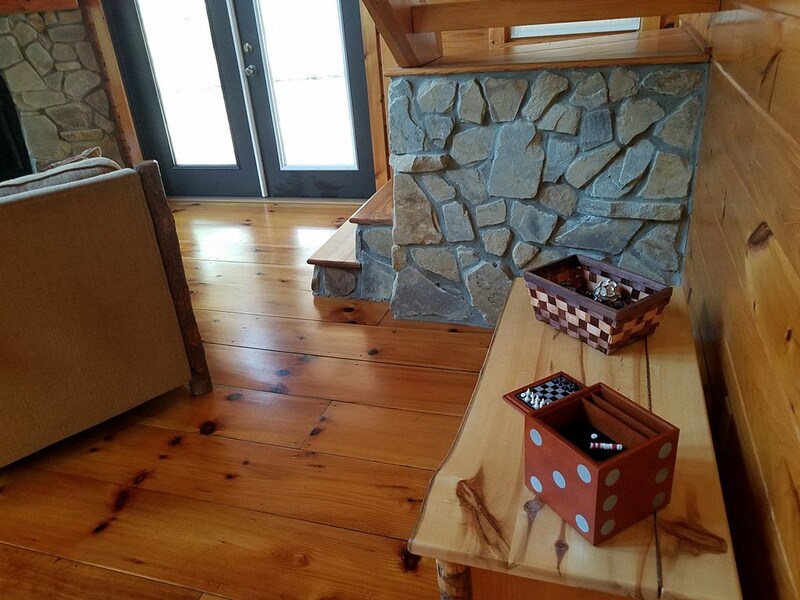 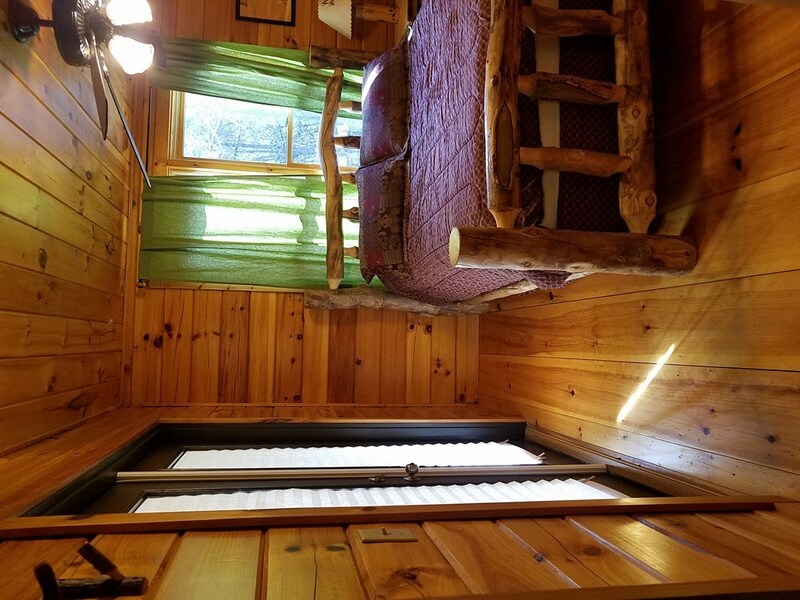 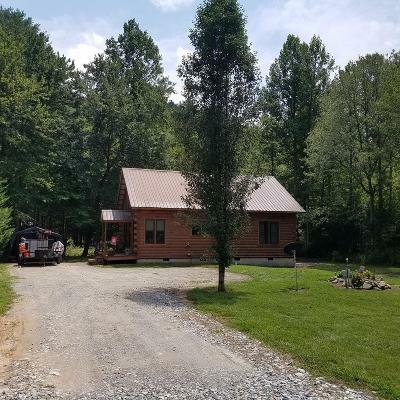 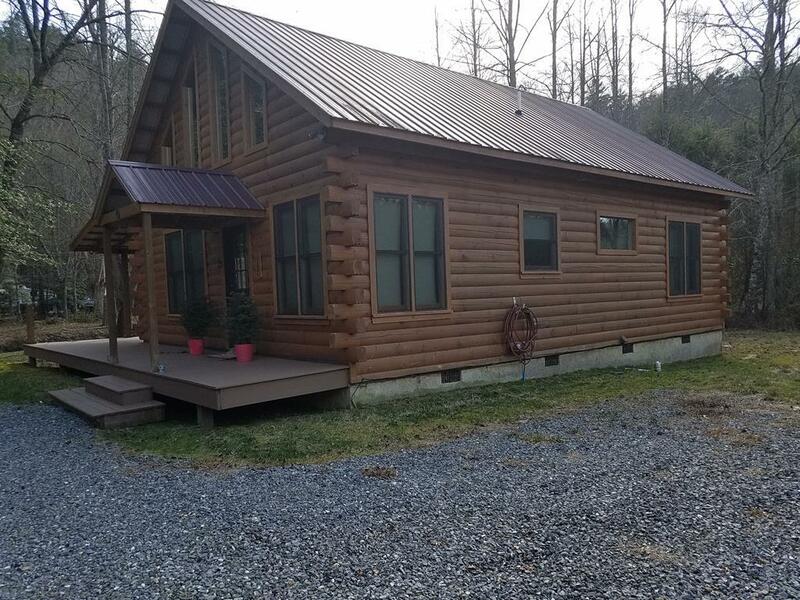 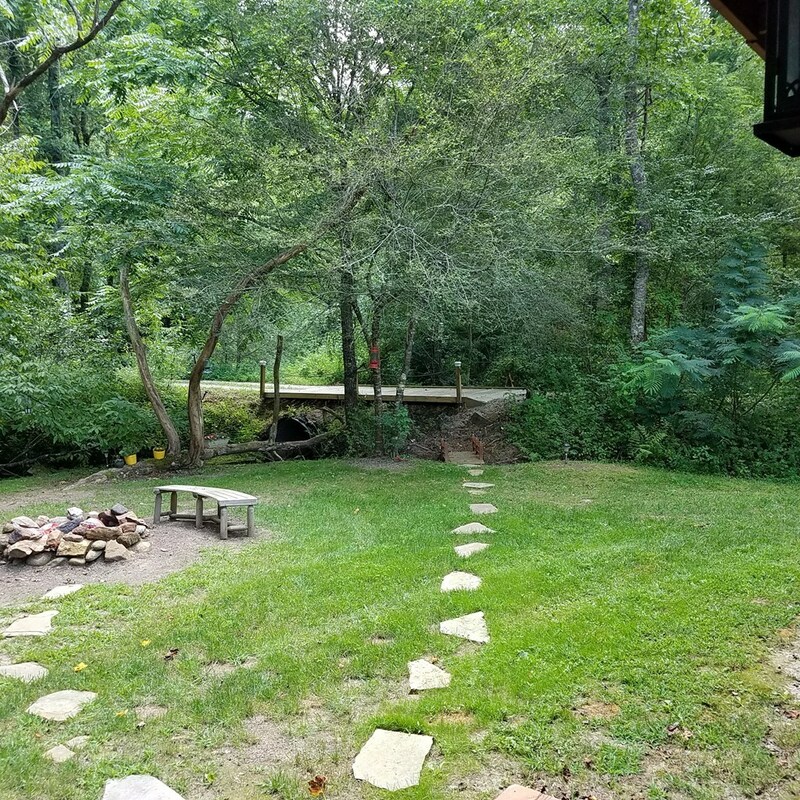 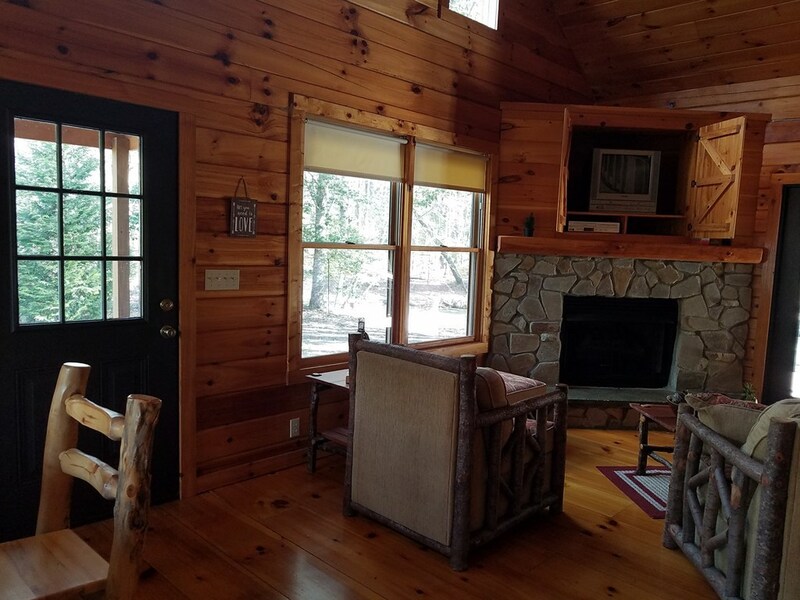 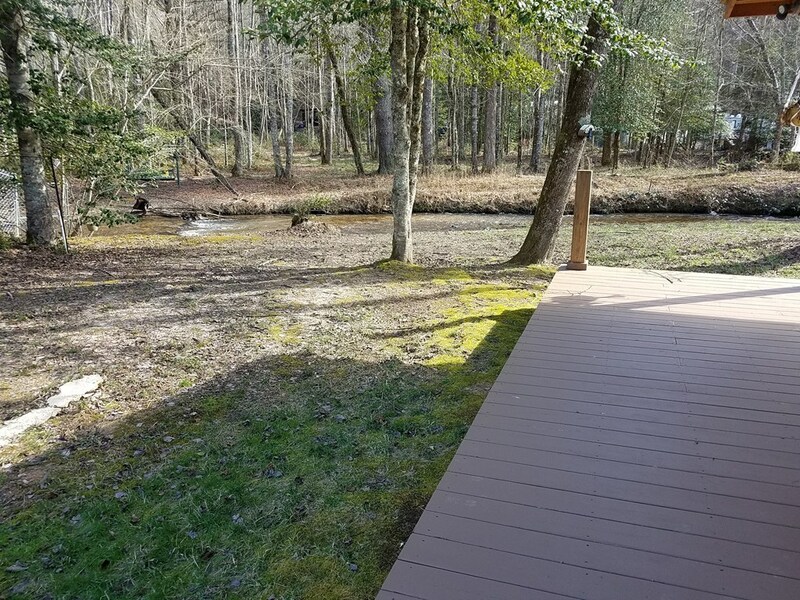 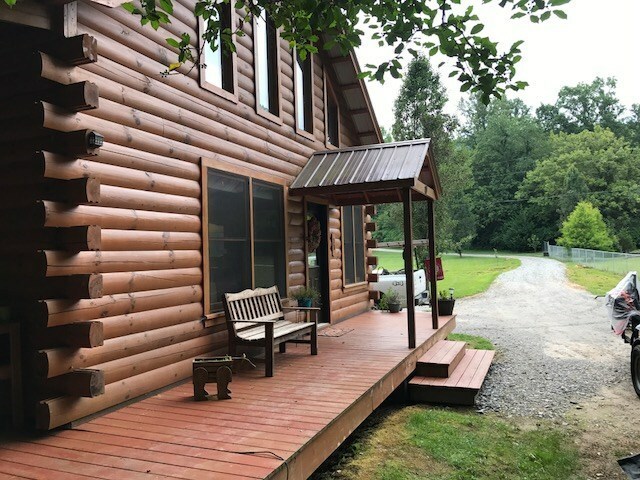 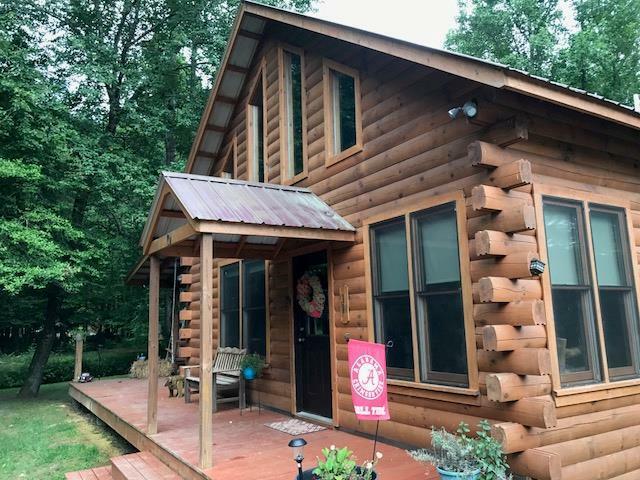 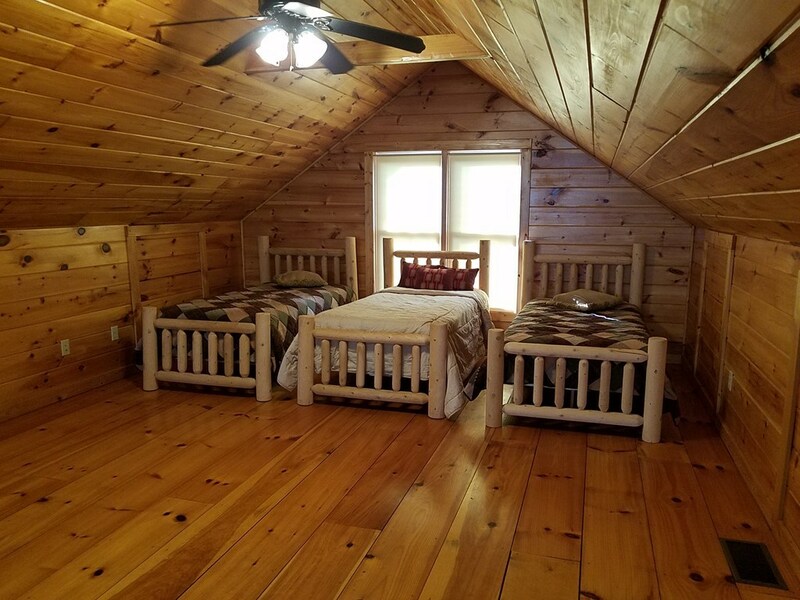 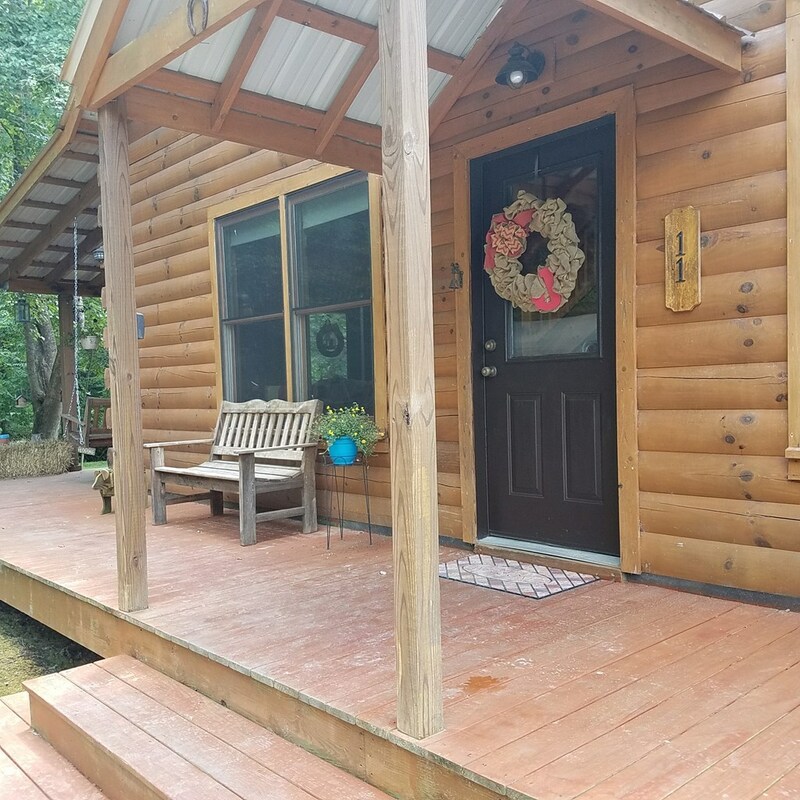 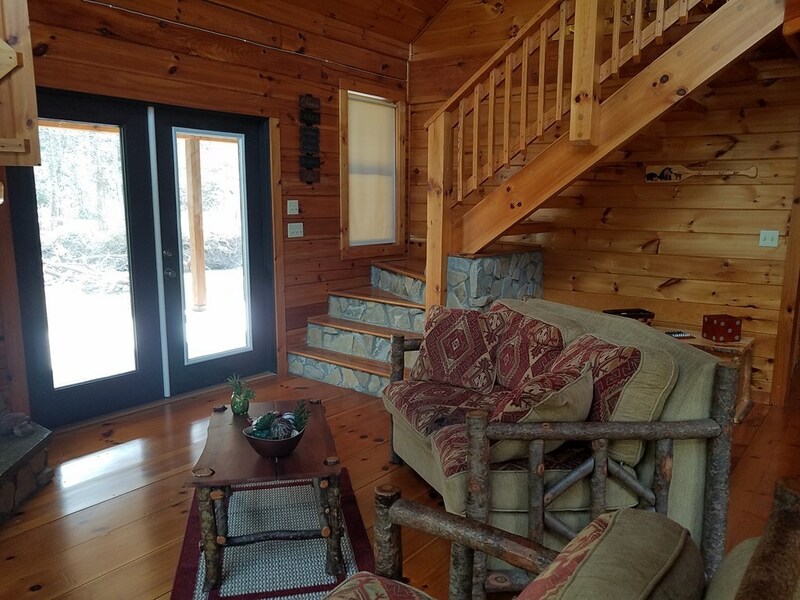 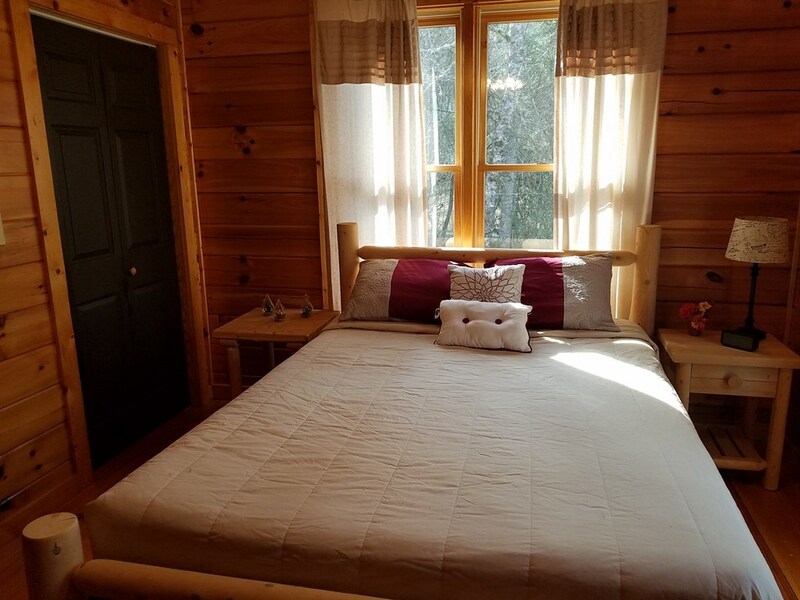 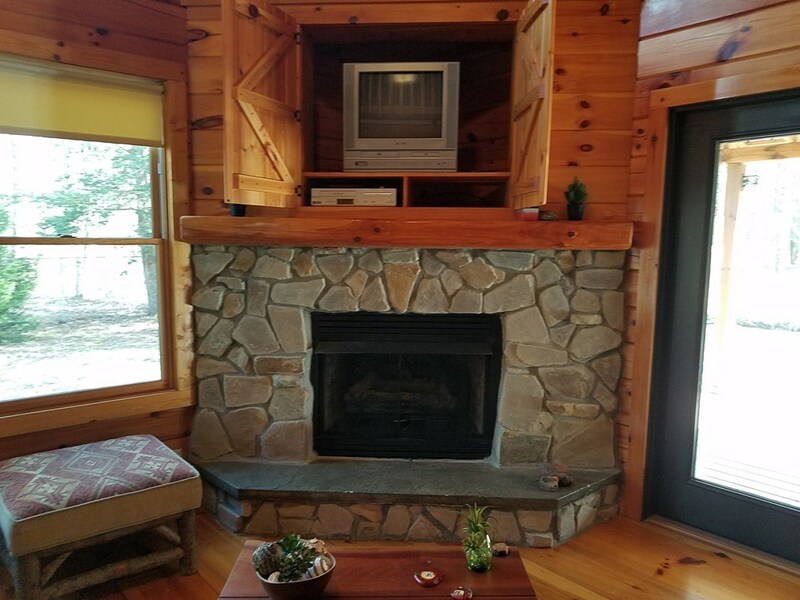 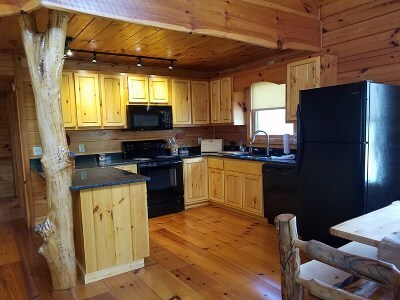 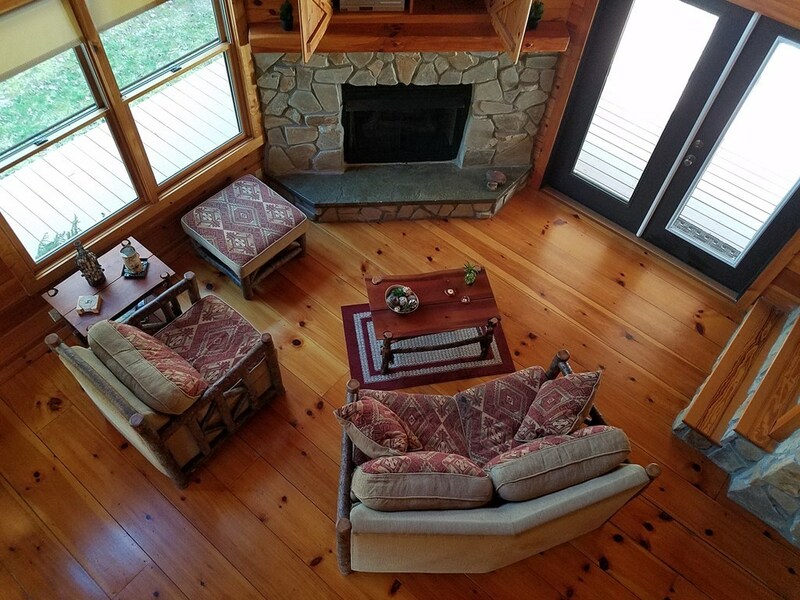 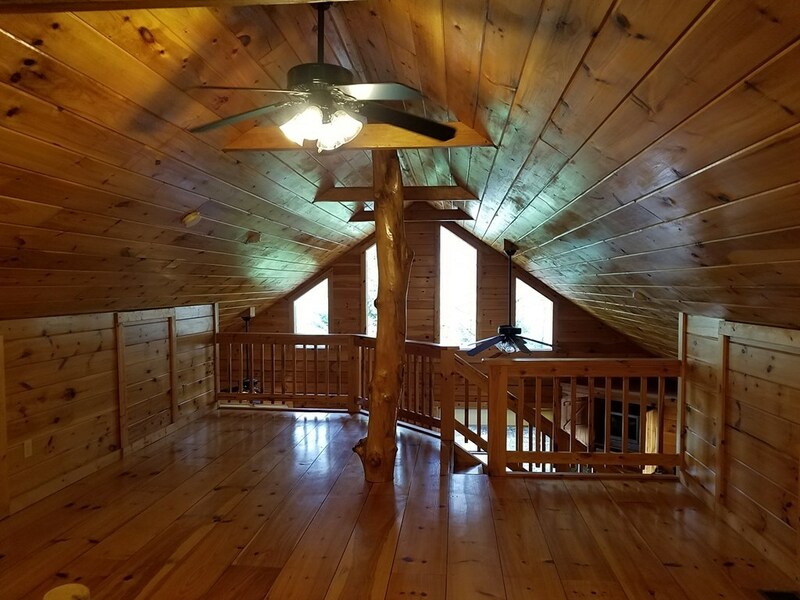 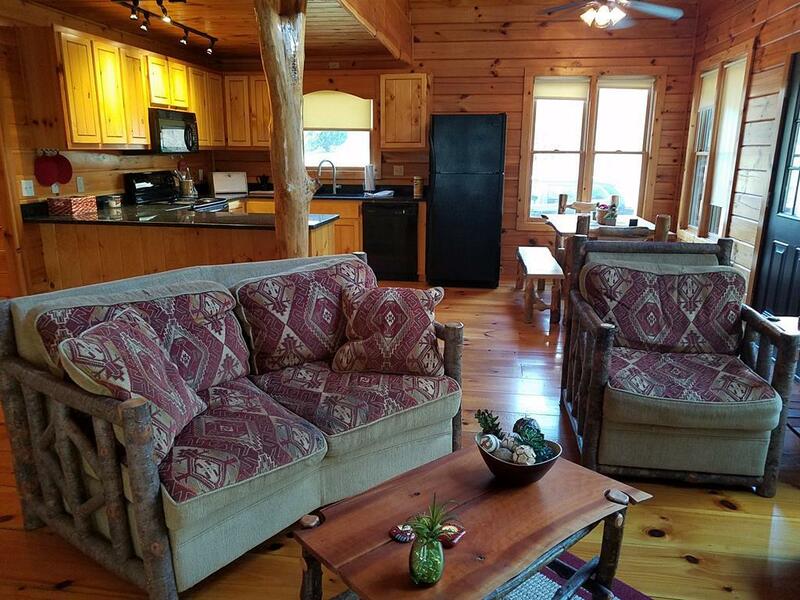 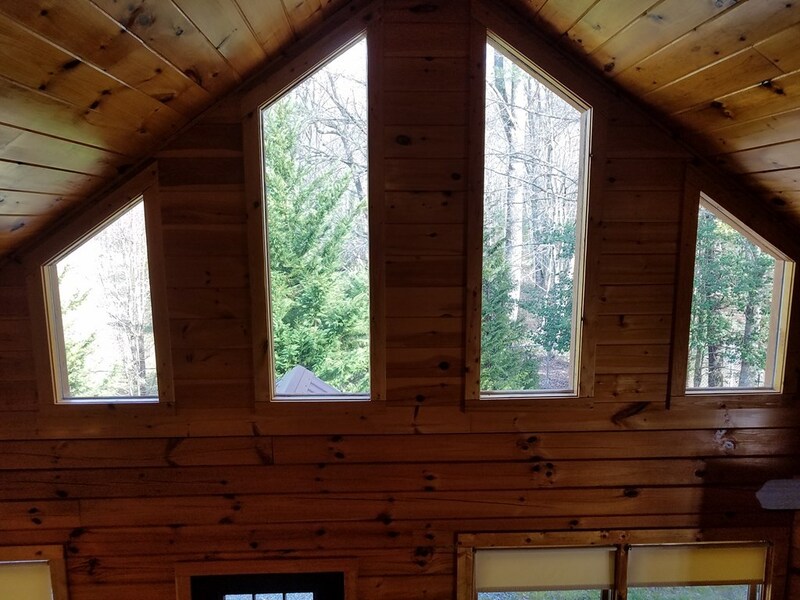 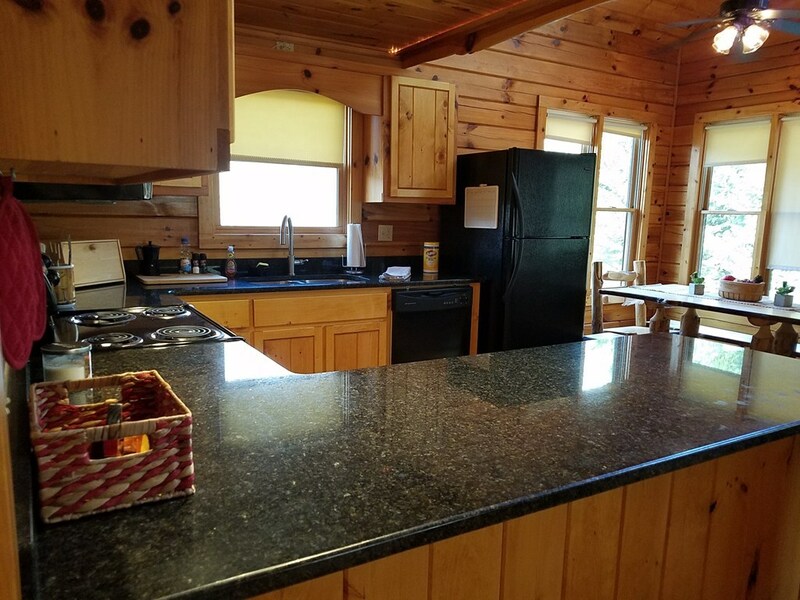 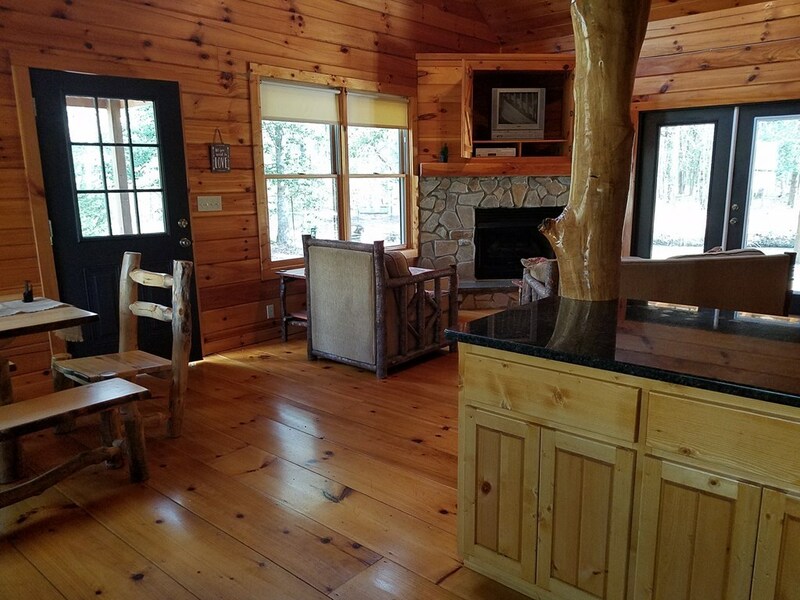 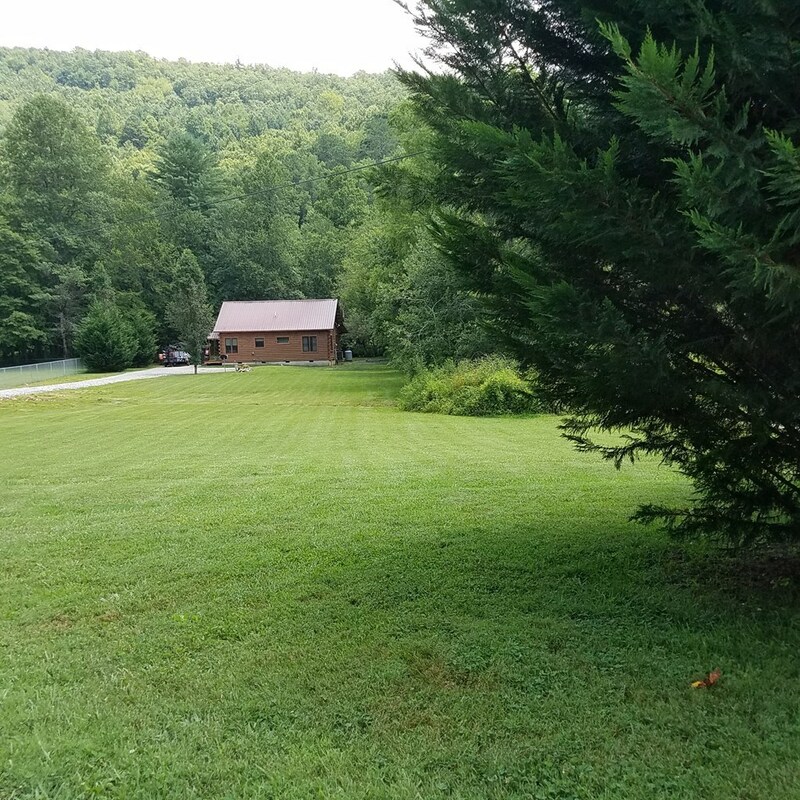 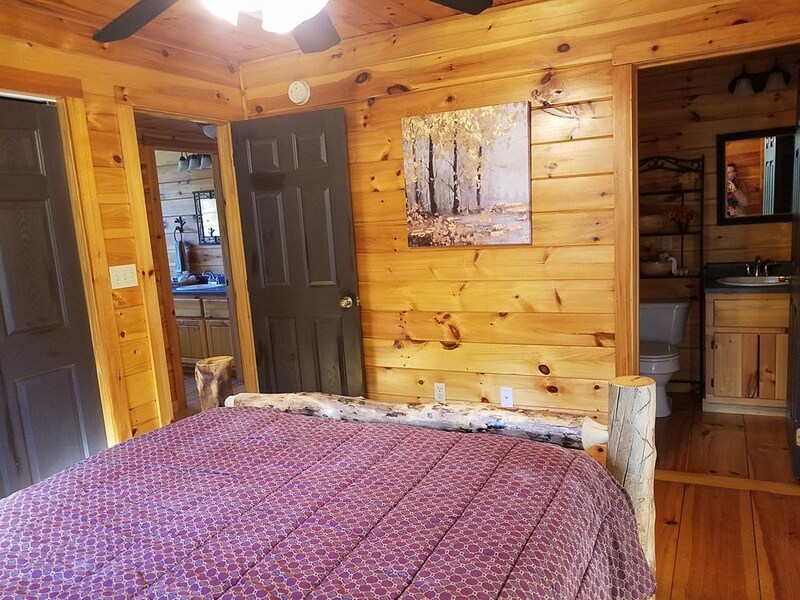 True Log home with 2 beds and 2 baths on the main level, Creekfront, level land all 1.13+/-is level land for your outdoor living space. 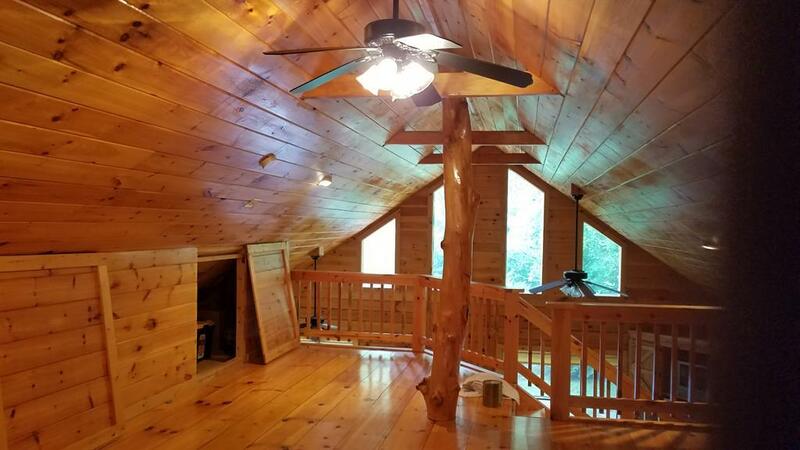 Loft can be used for sleeping or a huge family room. 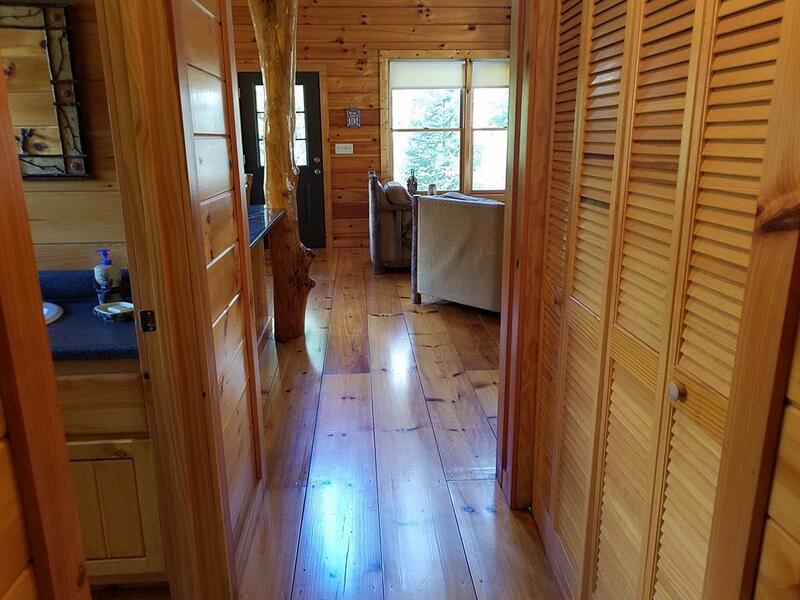 12 wide pine plank flooring. 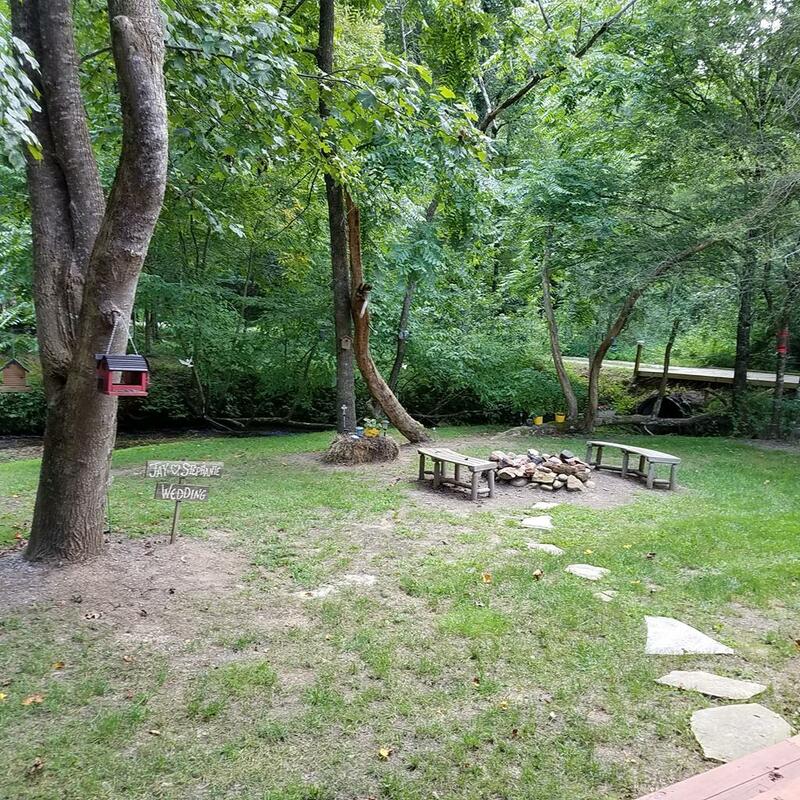 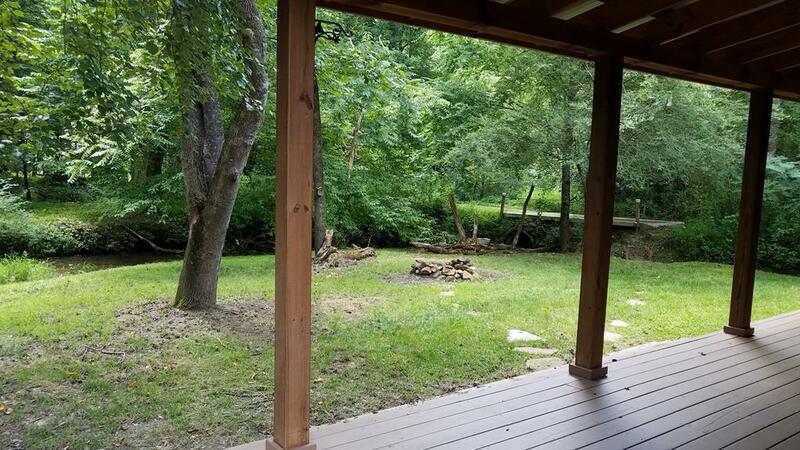 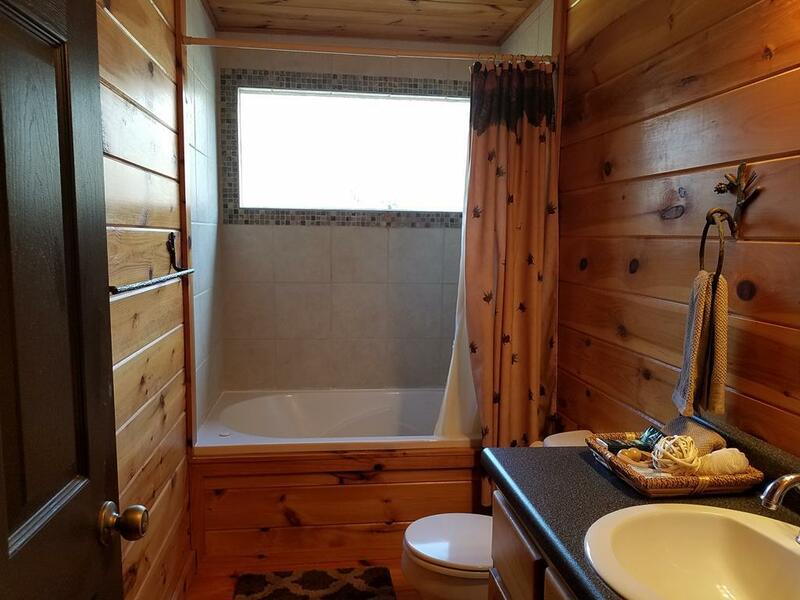 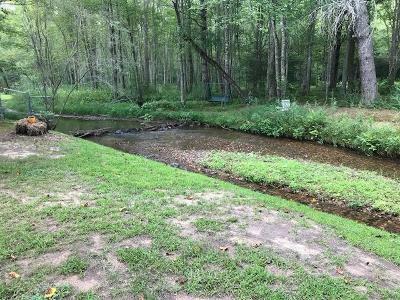 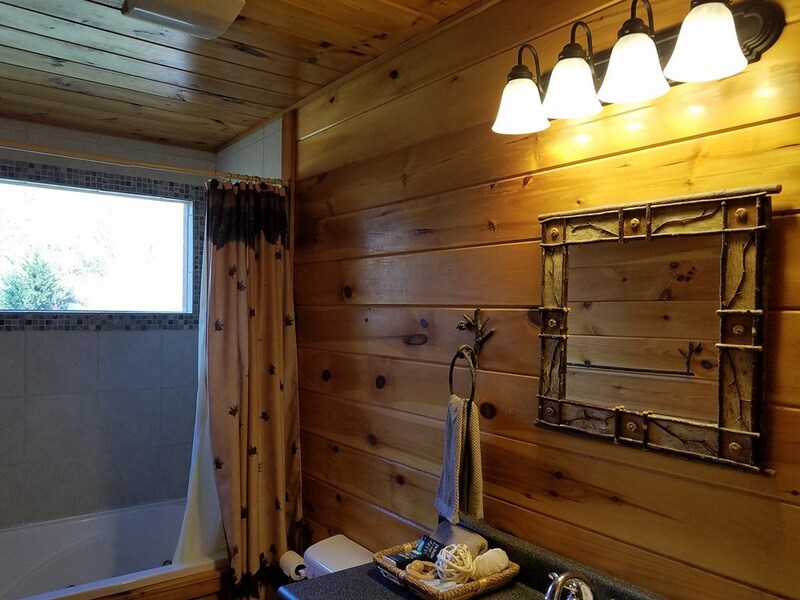 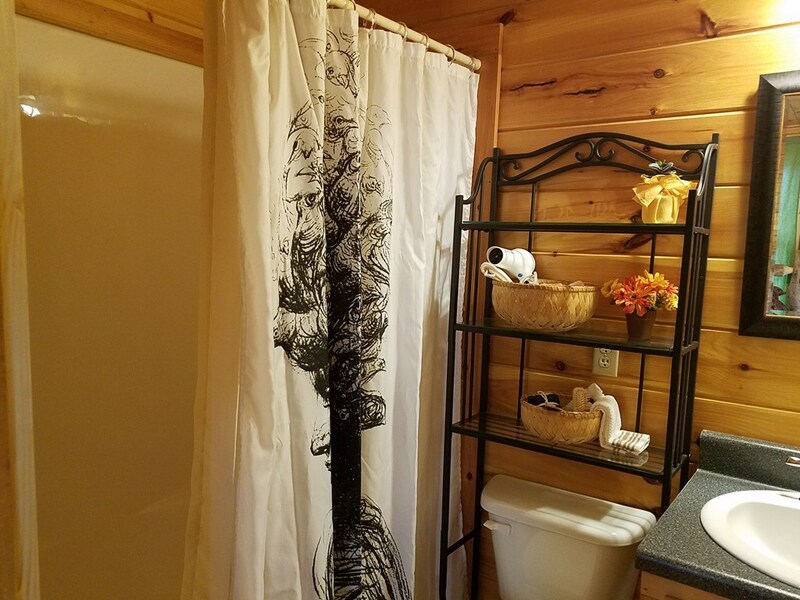 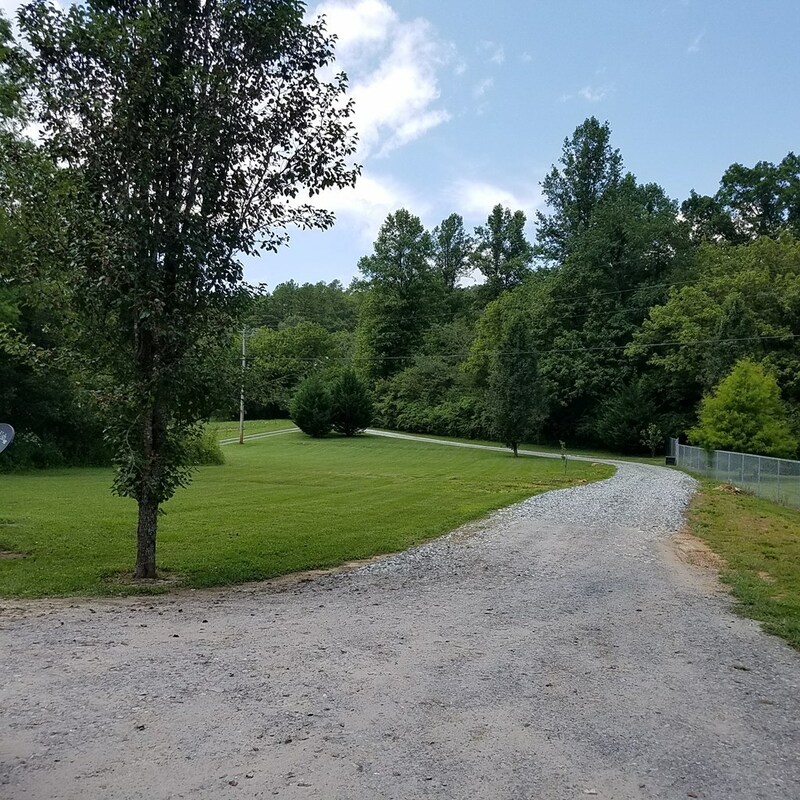 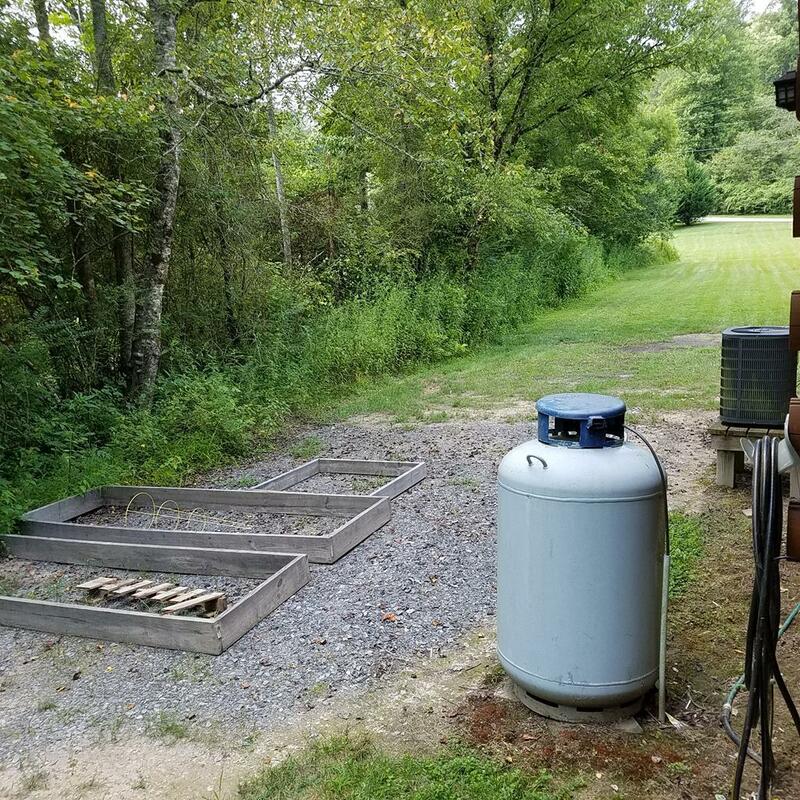 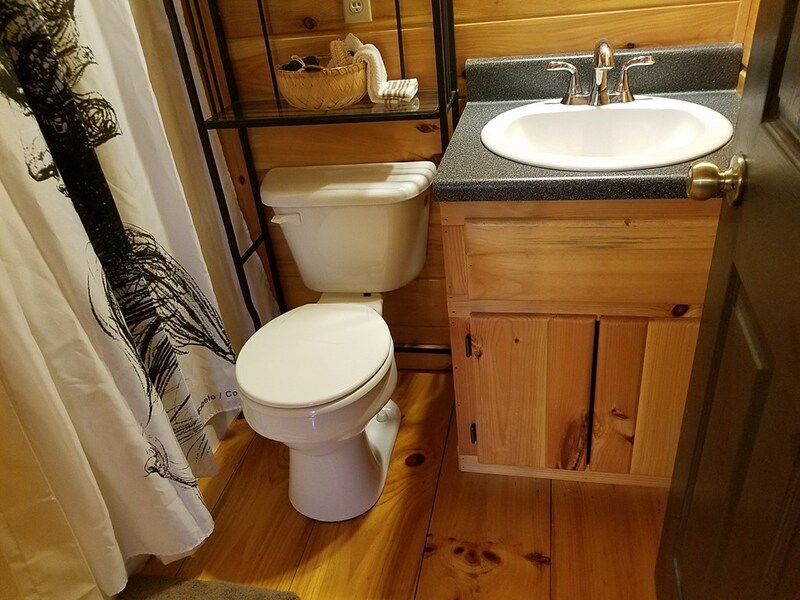 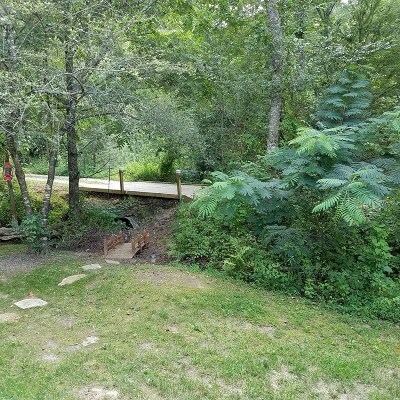 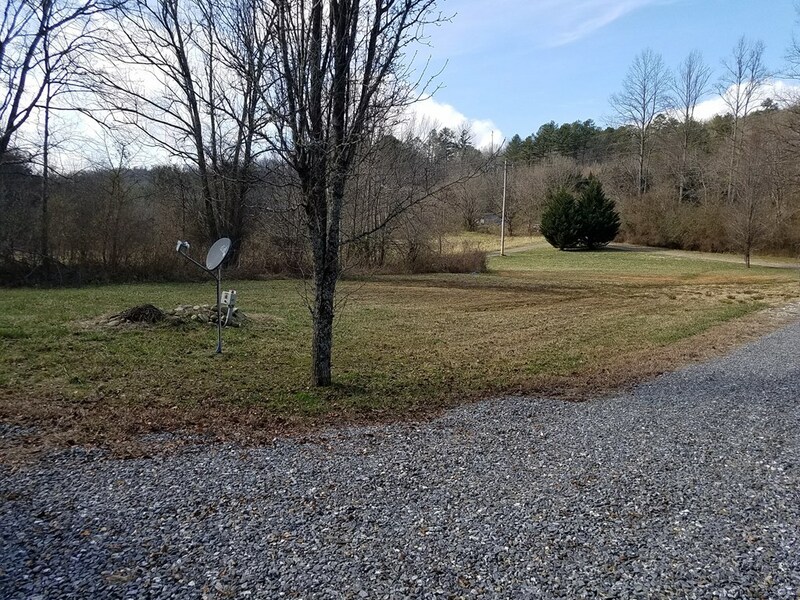 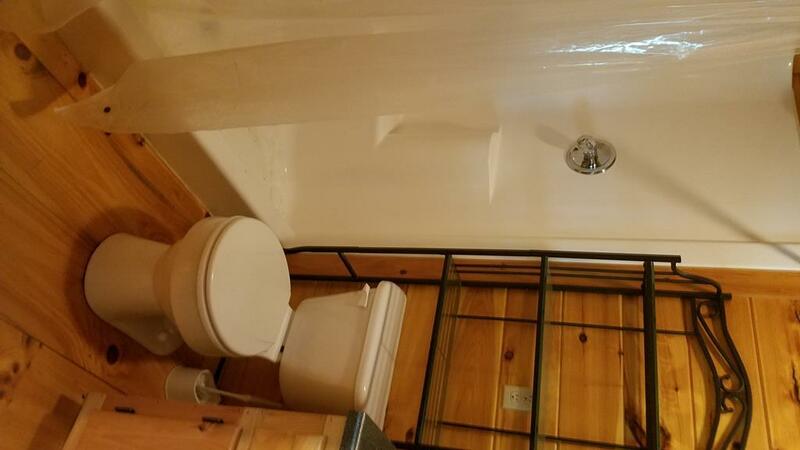 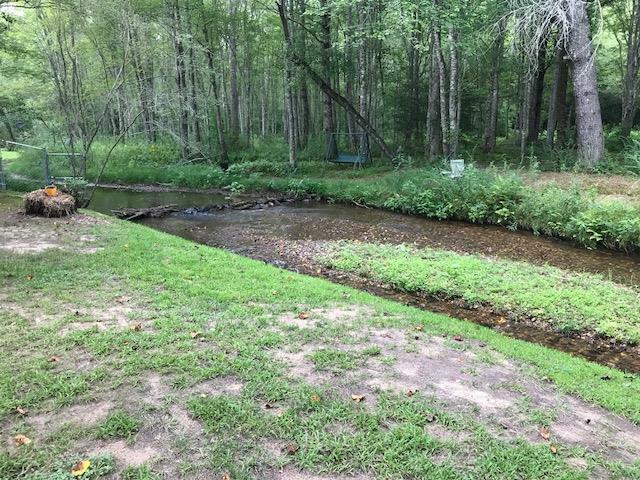 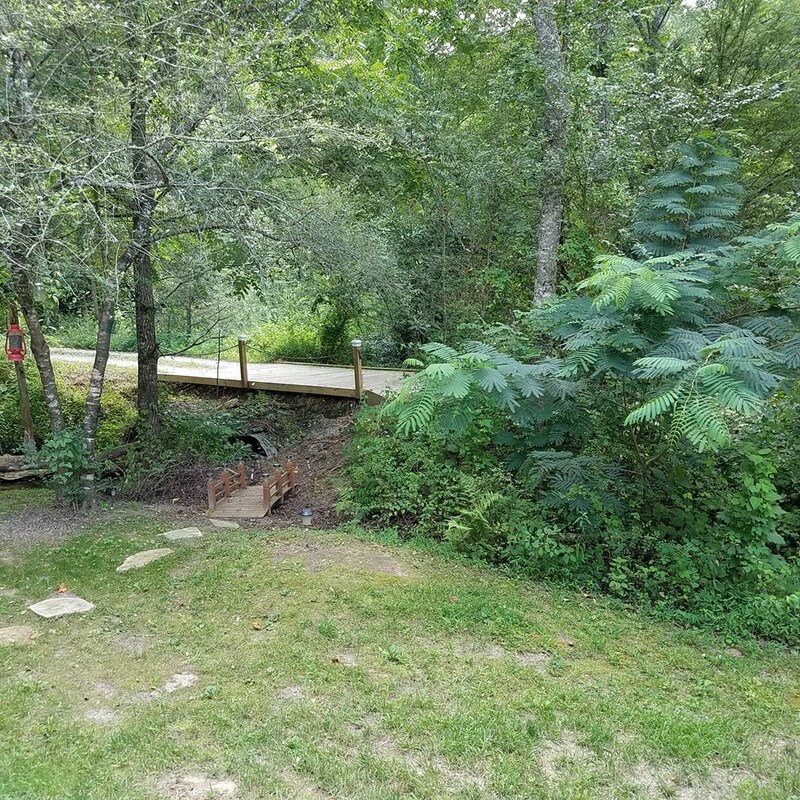 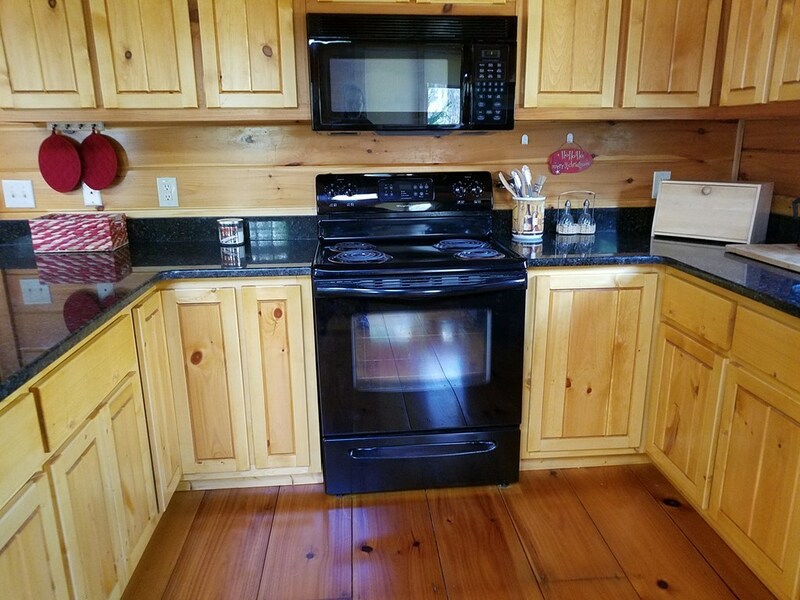 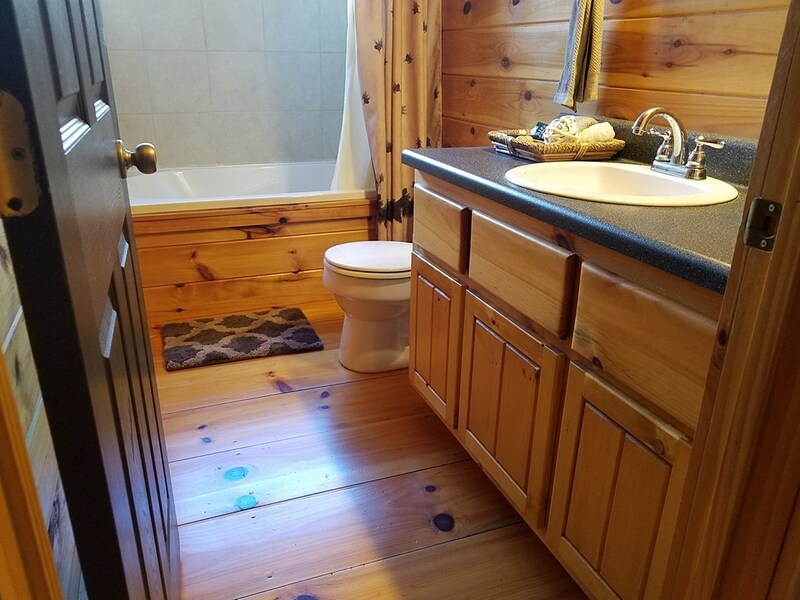 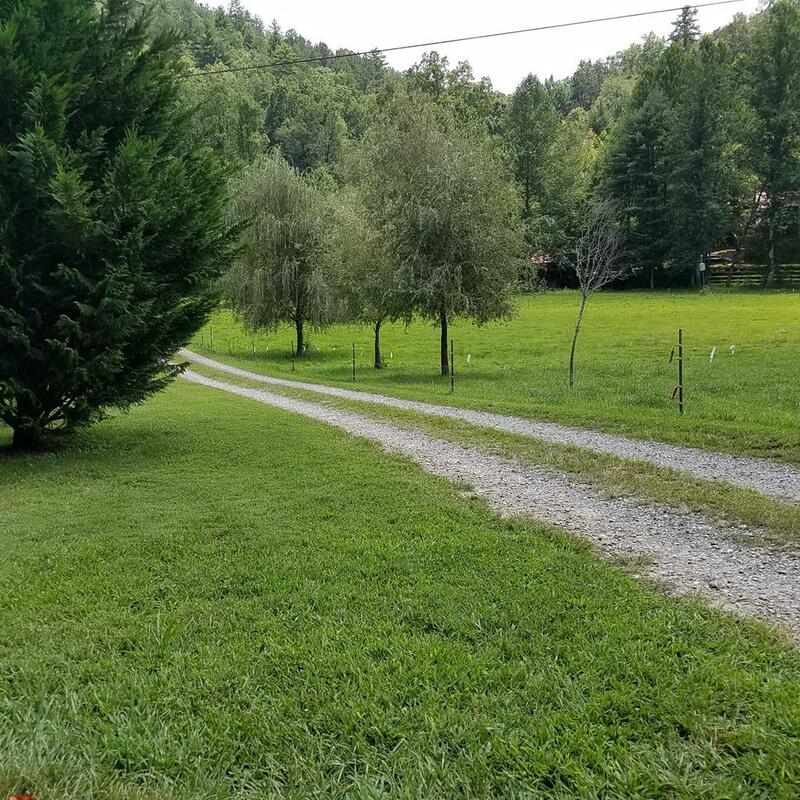 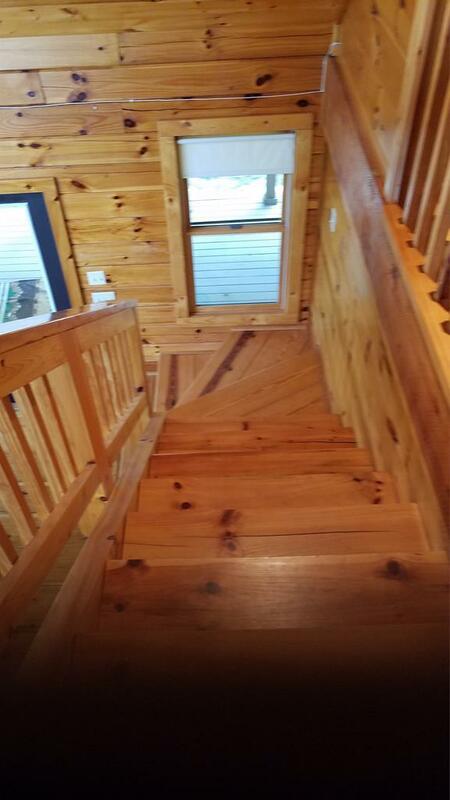 BRAND new kitchen cabinets, brand new Granite counter tops, brand new insulation,new heat & air inside unit, 2019 newly stained porch and decks for your enjoyment Big wide owl creek runs the full length of the back of the property behind the home. 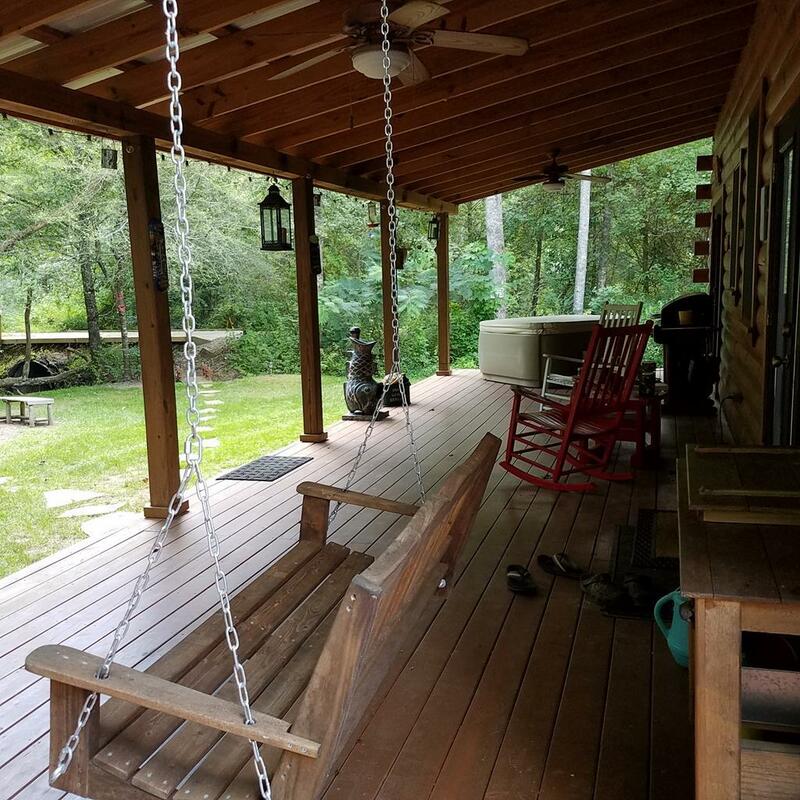 Back porch would make great outdoor kitchen. Black ceiling fans/decor. 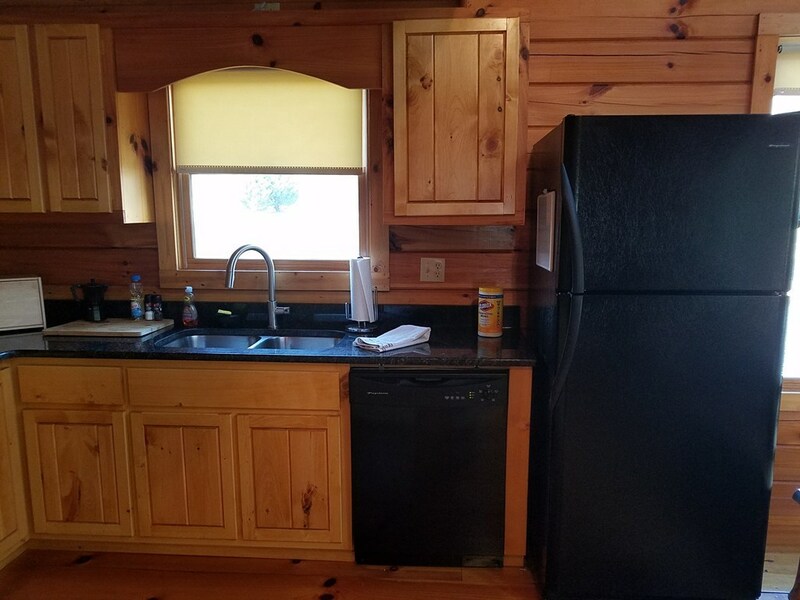 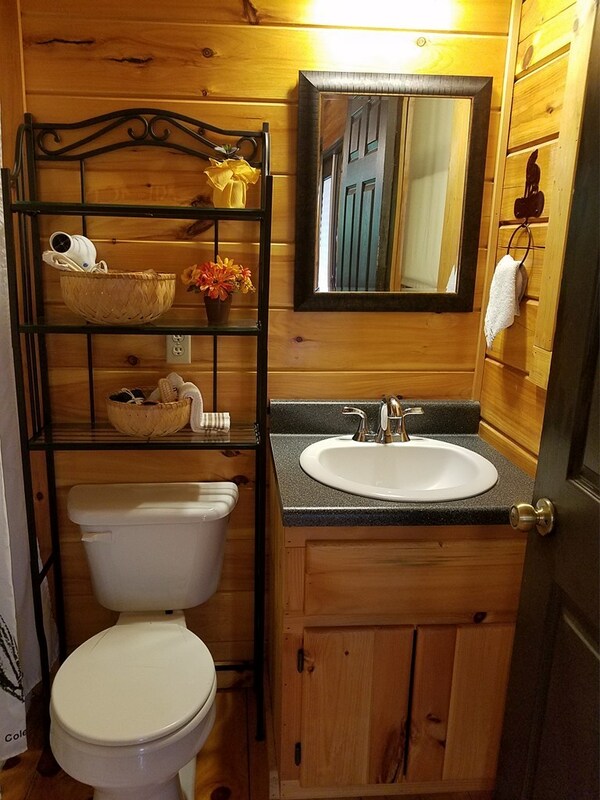 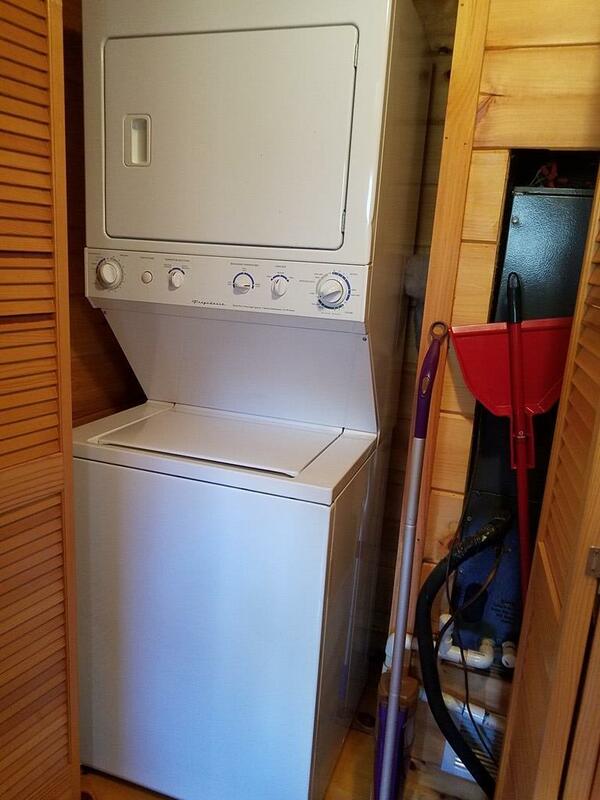 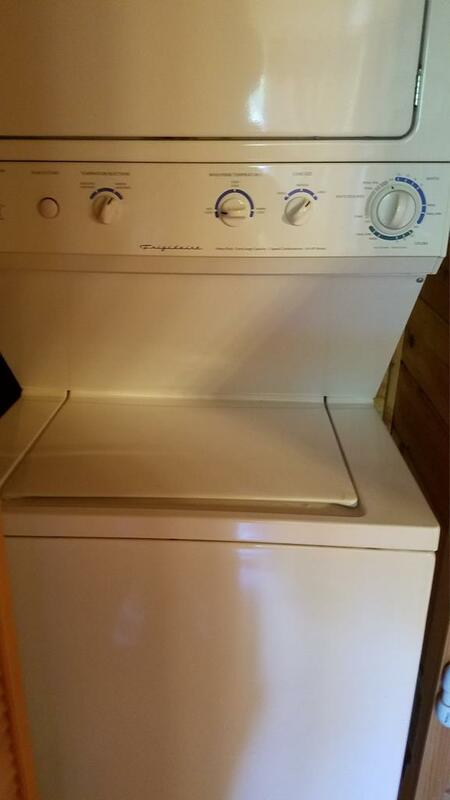 Fully furnished for you to just come and bring some kitchen stuff and your clothes and linens.Nice area and only 8 mi to downtown Murphy quickdrive to town=10min.